BrofistCoin - This is the cryptocurrency that's really gonna make it.
" This is the cryptocurrency that's really gonna make it. Trust me. " The thing with cryptocurrencies is that everyone is just shilling it for their own benefit. So who can you really trust? It seems all you need is an audience and make your own cryptocurrency and you can just make a lot of money. These are the words of wisdom of a legendary Youtuber known as PewDiePie who, after poking fun at the Bitconnect's pyramid scheme, jokingly announced his very own cryptocurrency- the BrofistCoin. Are you ready to make a lot of money? Invest now guys before it's too late! This is the one that's really gonna take off. Trust me. I am the most trustworthy Youtuber on the platform and I'm telling you right here, right now, BrofistCoin is where it's at. We're gonna BROFIIIIIIIIIIIIIIST... our way to the TOP! This is the cryptocurrency that's really gonna make it. It's gonna be great. 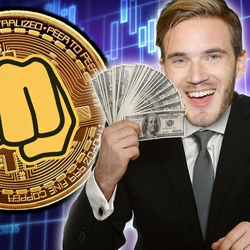 BrofistCoin is a fan-made cryptocurrency inspired by PewDiePie and powered by the Ethereum blockchain. You can send it to your friends and trade it on exchanges such as ForkDelta and EasyTrade. The main purpose of BrofistCoin is to serve as an incentive for content creators to come up with top quality, unique and funny memes for the PewDiePie's Last Week I Asked You (LWIAY) show. Each week, after the episode, we announce the top 3 meme authors who get to share a pool of 100 BrofistCoin based on the total percentage of upvotes received from the PewDiePieSubmissions subreddit. This makes BrofistCoin a meme coin in its most literal sense! It's a meme cryptocurrency for memes that you can earn by creating more memes. However, because BrofistCoin lives on the Ethereum blockchain, we can utilize the power of Smart Contracts to create all sorts of other cool things too. It's strongly recommended to read our FAQ to fully understand the concept especially if you are new to Ethereum. It's worth it, I promise! The first batch of trading cards was just airdropped to anyone who was interested. In total we managed to mint 75 cards. Think of the Meme Awards 2018 airdrop like the rare item drop of your favorite MMORPG called life. We will be doing more of these in the future when something significant happens in the meme world. Stay tuned! What's more, all of these cards can be used in our upcoming blockchain based trading cards game! Although you might not want to actually play with them because they are too rare to just... lose. Yes, you heard that right! We are working on releasing a full blown trading cards game on the Ethereum platform pretty soon and what's even more amazing is that everyone will have exactly the same chance at receiving any Meme Trading Card simply by playing the game. All it takes is a little bit of skill. If you're interested to learn more, we have a whole page dedicated to the project over here and you can already try out the playable demo today to practice. How cool is that?! You can buy, sell and trade BrofistCoin just like any other cryptocurrency here and here. May all the BRO's become financially independently! Whoa! In just under 3 months we distributed all of the 40 million PEW to more than 74,000 addresses. That's crazy! Unfortunately this means that you can no longer claim any free PEW. In case you missed your chance you should check out ForkDelta or EasyTrade where you can sometimes find a pretty good deal. Or better yet, why not post a really funny meme to the PewDiePieSubmissions subreddit for a chance to win some BrofistCoin for free?! After the airdrop ended we moved reserved funds to their own separate wallets. You can see PewDiePie's wallet here and the wallet for our Developers here. The private keys for those wallets are (hopefully) safe in a place nobody will ever look. Actually it would be cool to hide them in plain sight... HHHMMMMMMMMMMMMMMM? Indian game developer. Potential spy for T-Series. Never heard of Ethereum before. Believes all crypto is scam and calls it "Creepto". Head of development. Quit after failing to compile the mineable coin. Sees no hope for any crypto project in a bear market. Head of marketing. Visited our website for the first time almost a year later. Gave up promoting BrofistCoin after 10 days. Head of public relations in China. Lost their life savings in the bear market. Nobody has heard of them since. Homeless funds manager. Has a mental breakdown every other week trying to keep the band together. Sees no future for the project. Watch PewDiePie's video, get brilliant idea and Buy the .io domain name. Copy & paste someone else's Smart Contract for ERC-20 token. Deploy the contract- PEW coin is born! Be invited to join a team of Blockchain developers and start working on BFC, the mineable cryptocurrency forked off CryptoNote. Get a bunch of volunteers to work on marketing, social media and graphic design. Make an official announcement in BitcoinTalk for the PEW token airdrop and set the initial reward to 1000 tokens per Ethereum address. PEW token officially on ForkDelta exchange! Over 16 million PEW token already distributed. The project got much bigger than initially expected! A simple referral program implemented in order to raise awareness. The lead developers for BFC (the mineable coin, not PEW) announce that they will no longer work on the project. PEW coin becomes the official BrofistCoin by default. Opened request for PEW coin's approval for the Reddit TipJar Bot. More than 22 million PEW distributed. The first Reddit user is rewarded 100 PEW coins for their contribution in the PewDiePie Submissions subreddit. PewDiePie asked for a photo of crying PewDiePie made out of crying Markiplier photos and user mathias_- promptly delivered. A historic milestone! All of the available 50 million PEW have now been distributed to more than 74,000 addresses. Our Smart Contract is now depleted and the only way to receive PEW is to either win a LWIAY episode or buy it. The official whitepaper for our project is released clearing the confusion around the utility of the token. In the whitepaper we also introduce our end goal of bringing all the memes into the future and on the decentralized web. Playable demo of our upcoming blockchain based Meme Trading Cards game released! BrofistCoin is widely recognized as the cryptocurrency for memes and meme authors are rewarded BrofistCoin regularly. The marketplace for Meme Trading Cards released. 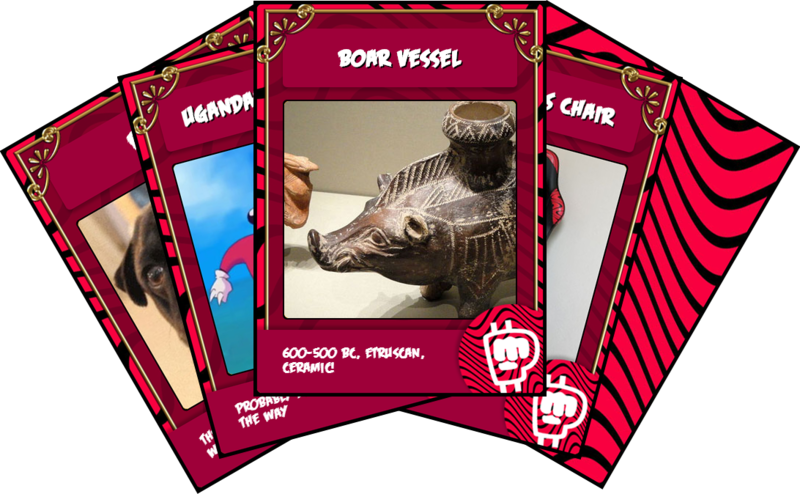 Players, collectors and Bro's can now buy, sell and trade Meme Trading Cards using BrofistCoin. In case you haven't figured it out already BrofistCoin is a fan made meme coin. A joke. BrofistCoin offers no guarantees. It's definitely not a good idea to invest your life's savings in BrofistCoin. Don't buy it. Not even for free. Seriously. Do not put your life's savings in BrofistCoin. You have been warned. As of today PewDiePie has no idea we're actually doing this. He probably already knows about us. He just hasn't contacted us and isn't working together with us. So don't hold him accountable for anything that may or may not happen. That said, BrofistCoin is a real and fully functional cryptocurrency that you can send to your friends and family. All you need is an Ethereum address to hold the coin. For more information please check out our FAQ section. BrofistCoin is not an ICO. There was never a token sale and to the best of our knowledge nobody has made or will make any profit from using it. We simply allowed interested parties to claim free tokens provided that they covered the Ethereum network transaction fees themselves. BrofistCoin offers no guarantees and we don't encourage anyone to invest in it. We have also made it as clear as possible to everyone involved that BrofistCoin is a joke. A meme coin that was born after PewDiePie mocked the Bitconnect scam. BrofistCoin is unofficially being used as a reward token in the PewDiePieSubmissions subreddit to credit authors of the most upvoted memes, but that does not mean that Felix Kjellberg (PewDiePie) himself endorses the use of BrofistCoin. In fact Felix Kjellberg has never acknowledged the project in any way. About a week and a half after we first announced BrofistCoin at least two different teams have also started promoting their own BrofistCoin cryptocurrency. Please be advised that we are not working together with them and the only official website we have is the one you are on right now (BrofistCoin.io). Every other website about BrofistCoin out on the internet is not us and is most likely scam because they are asking for real money as an investment. We never did any of that and neither are we interested in listing our coin on centralized exchanges, sorry. That said, we have nothing against decentralized exchanges and you can trade BrofistCoin on ForkDelta right now if you like. Additionally we hope to bring real utility value to BrofistCoin through our decentralized meme trading cards game that's currently a work in progress, but at the same time we don't guarantee that the project will finish at all. From our perspective the BrofistCoin project is an opportunity for us to learn about Ethereum and how to develop decentralized applications. We have no intention to gain any financial value from BrofistCoin and you shouldn't either. If you wish to support us you can send a donation to our Donations address. Hopefully you will understand that this is a joke and won't sue us. Our main goal is to have great new content created for your meme review and LWIAY episodes by using BrofistCoin as an incentive to come up with better quality memes. Additionally we're working on implementing a reddit tip bot so that the best content submitted on PewDiePie Submissions can earn BrofistCoin as a reward for their hard work. Unlike our "competitors" we are not raising any money using your trademark. 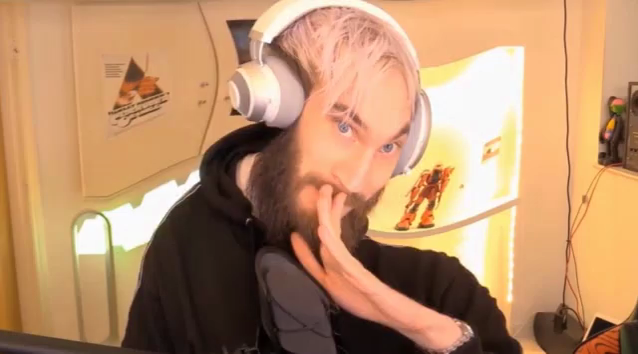 Obviously you, PewDiePie, will be entitled to one of the biggest BrofistCoin wallets. We're gonna brofist our way to the top! If you're PewDiePie, please don't copystrike us.